The Axiom is a powerful multifunction navigation system from Raymarine. 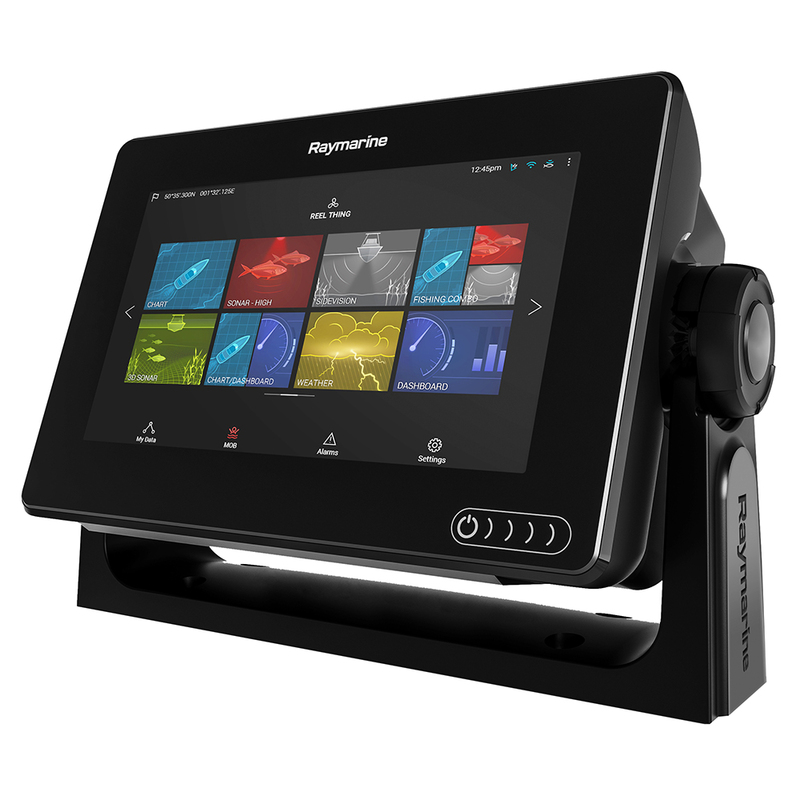 The Axiom 7 features a 7-inch rugged all-glass touchscreen display and is powered by Raymarine's powerful LightHouse 3 operating system and a supercharged quad-core processor. Axiom 7 is expandable so its capabilities can grow as needed. It supports the full range of Raymarine accessories including Quantum radar, CHIRP Sonar, FLIR thermal cameras, audio integration, instruments, cameras, and Evolution autopilot. Standard Wi-Fi and Bluetooth connectivity allows connection to the latest Raymarine apps for tablets and smartphones. The Axiom 7 is bundled with LightHouse USA Coastal Vector charts on MicroSD. The Axiom 7 includes surface and trunnion mounting kits, mounting hardware, power/data cable, and installation instructions.